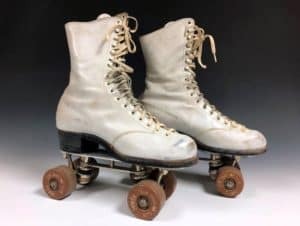 The Elmhurst History Museum is holding an event, “Rollerspeak and a Pop-Up Exhibit with James Turner,” that will interest all lovers of roller skating and former rink rats. The event is on Sunday, September 23 at 2 p.m. in the museum’s Education Center. Some of us at Elmhurst Toyota remember when Chicago was the epicenter of roller skating back in the sport’s Golden Age. This event will be a fun way to revisit those days and learn about the colorful history of roller skating. Your host for Rollerspeak is James Turner, co-author of the book, “The History of Roller Skating.” Turner is also the co-founder of the National Roller Skating Museum in Lincoln, Nebraska. He’ll speak about roller skating’s start back in the 1880s, its Golden Age in the 1950s-60s and what’s happening in the sport today. The “pop-up exhibit” follows Turner’s talk. Bring your skating memorabilia, such as skates, keepsakes and photos, to be part of the pop-up exhibit. Take part in a discussion about roller skating and share memories with other skating lovers. “Rollerspeak and a Pop-Up Exhibit with James Turner” is held in conjunction with the Elmhurst History Museum’s current exhibit, “Chicago Rink Rats: The Golden Age of Roller Skating.” The exhibit is a nostalgic look back at Chicago when it was the hottest place in roller skating during the 1950s and 60s. The exhibit features the first-person memories of rink rats as well as skating images and memorabilia. You can see “Chicago Rink Rats” at the museum through November 4. Don’t miss this fun opportunity to learn more about roller skating and participate in the interactive pop-up exhibit. Registration is required for “Rollerspeak and a Pop-Up Exhibit with James Turner,” so reserve your seats today. September 23, 2018, 2-4 p.m.
$5 per person, free for museum members. To attend, register online at Eventbrite at bit.ly/2Nc5ZDx or call 630-530-6879. There is limited free parking at the museum. Call 630-833-1457, visit www.elmhursthistory.org/322/Adult-Programs or email ehmprograms@elmhurst.org.